PRE-REGISTRATION FOR THIS PROGRAM IS CLOSED. WALK-IN REGISTRATIONS WILL BE ACCOMMODATED AT THE EVENT. "Social Security and Retirement Planning: A Hit or Myth Proposition"
Social Security's retirement program has been a basic part of American life for over 83 years. But, despite the age, the size, and the economic impact of the Social Security system, the myths and misunderstandings about what the program is, as well as what it isn’t, are sizeable. Now, as Baby Boomers reach retirement age, they are beginning to realize that Social Security is going to play a bigger part in their retirement than they had previously thought. But they are also starting to realize that they don’t know as much about the system as they should. Kurt Czarnowski, the Social Security Administration’s former Regional Communications Director for New England, will provide a wealth of information about the system. He will cover topics such as when someone can start to collect, how a retirement benefit is calculated, and the impact of working in retirement. He will also provide the latest information on the changes to the claiming strategies that couples have been able to employ in order to maximize their Social Security benefits. Czarnowski is the former Regional Communications Director for the Social Security Administration (SSA) in New England, a position he held from December 1991 until his retirement at the end of 2010. He began his career with SSA in 1976, and during his 34 years with the agency he worked in several different management and staff positions in the Boston area. As Regional Communications Director, Czarnowski was responsible for coordinating the Social Security Administration’s public affairs/public information activities in the six New England states. In this role, he was a frequent speaker at local and regional events for members of the public. 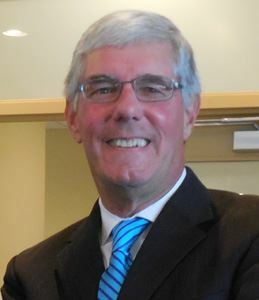 In March, 2011, he joined the Board of Directors of the Massachusetts Association of Older Americans (MAOA) and has just ended his fourth year as President. He also serves on the Massachusetts Money Management Project’s state-wide Advisory Council, and is a Member of the New England Pension Assistance Project’s Advisory Board. A native New Englander, Czarnowski received a Bachelor's degree in History from Hamilton College in Clinton, New York, and a Master's degree in Public Administration from Northeastern University. He currently lives in Norfolk, Massachusetts with his wife, Anne.